MANILA–Sr. 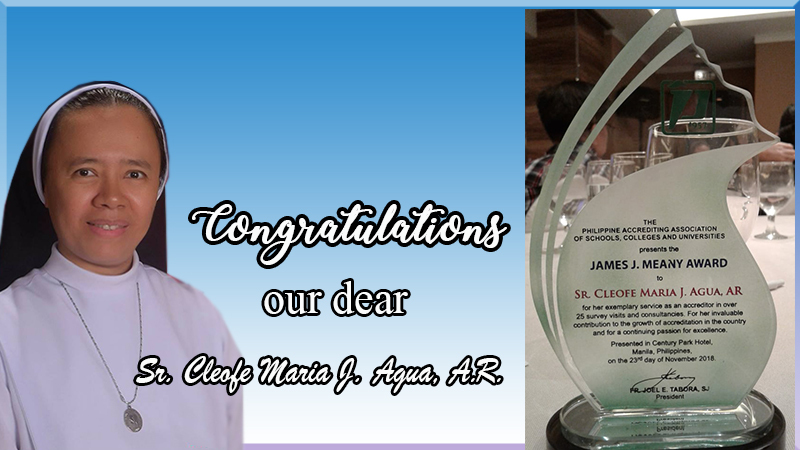 Cleofe Maria J. Agua, A.R. received the James J. Meany, S.J. Award for 25 survey visits and consultancies. 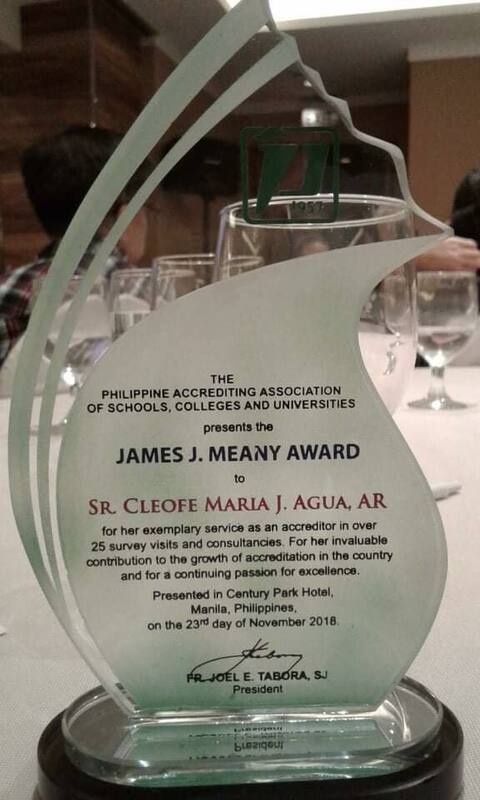 The awarding was given during the Philippine Accrediting Association of Schools, Colleges and Universities (PAASCU) General Assembly and Conferring of Awards to Accreditors which took place on November 23, 2018 at Century Park Hotel, Manila, Philippines.